So I thought I'd update to the 1.2 release, we'll see how that goes. Haven't turned on commnet yet, maybe I should. 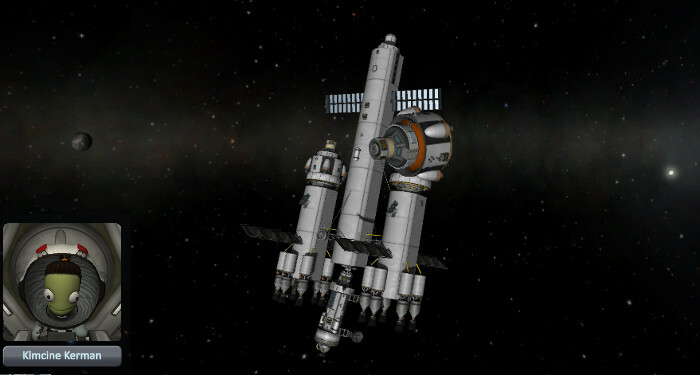 I have level3 tracking station and most (well, many) of my ships have big antennas. The following where I land ships with only Engineers/Scientists on board might not go as well though. 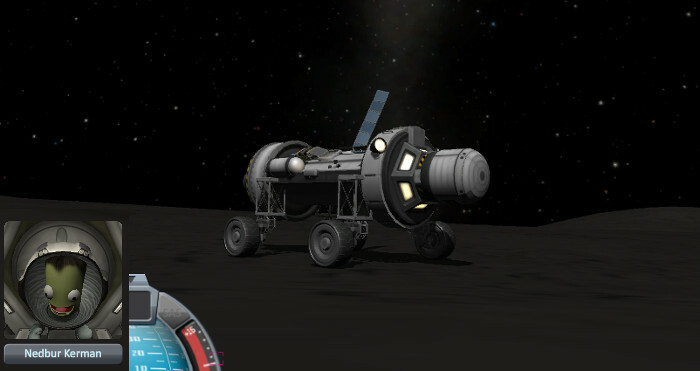 Anyway, after a long journey, here we are at Dres! 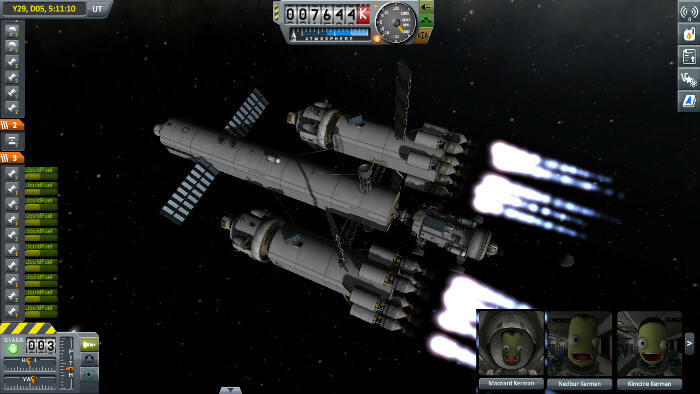 And we seem to have plenty of fuel to enter orbit! Good job Kimchee, Nedbury, and Mac-nerd. Let's send Kimchee on one of the shuttles down to the surface. We've never tried landing these without parachutes before. That's an... interesting... looking canyon. 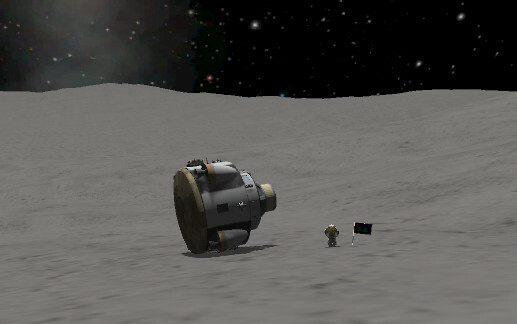 And she managed to land, more or less. 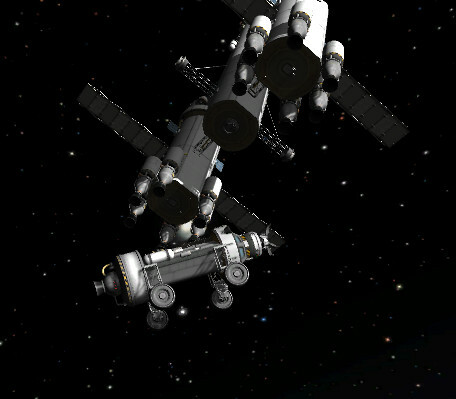 We destroyed the docking port but maybe that won't be critical. 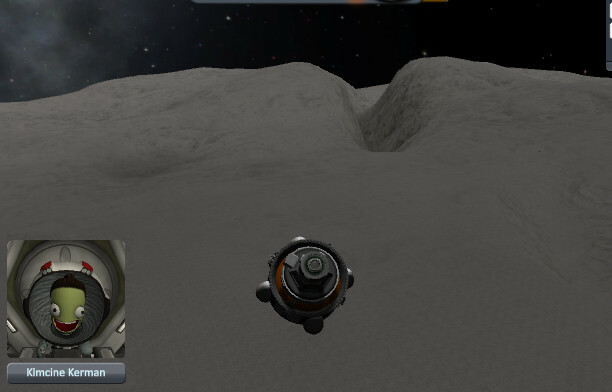 We've dragged a rover behind us for all this distance, let's see if we can land it too. Nedbury gets assigned to this job. Seems to be going OK. We're vaguely trying to land next to a probe we had sent many years before (sort of like Apollo 12). 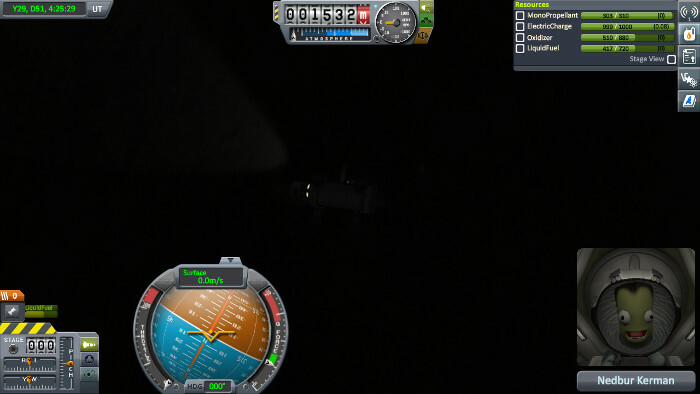 Managed to land in the pitch dark. Didn't die though, which is something. Let's wait for sunrise... and of course we are upside down. Lost a solar panel too. Some RCS action and we're ready to go! Though it's a bit unclear exactly where we are planning to go. Mac-nerd and the orbiter are going to head off and check out an asteroid we accidentally discovered a decade or so ago. It's high enough out though that it's going to be at least 80 days until he gets there and by then all the other outstanding missions seem like they're going to arrive simultaneously.